SRS founder Dr Jim Watts. 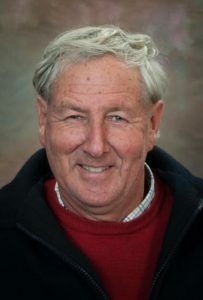 MERINO sheep, Angora goat and alpaca breeders around the world have expressed their condolences on the passing of revolutionary Merino breeding and wool scientist Dr Jim Watts. Dr Watts, 69, died after a long illness, at Bowral’s Southern Highlands Private Hospital on Monday January 28, leaving his wife Sally and children James, Alex, and Amy. The extended family is having lunch together in Bowral this coming Sunday to remember him. However, the ever-committed veterinary scientist has ensured a few faithful lieutenants will continue his work and some of these have planned a meeting in Dubbo in March to discuss this. A Watts’ family vale post on the SRS Facebook on February 6 up to yesterday had reached nearly 8857 people with 3275 engagements. Condolence comments have come in worldwide, including from Australia, South Africa and South America. Click here to see the family’s Facebook eulogy and comments. Dr Watts’ wife Sally, confirmed that her husband nominated a few lieutenants to continue his work and one of these, New South Wales sheep classer Paul Favaloro, said a meeting is being planned in Dubbo in March to discuss this. In 2014, Dr Watts was made a Member of the General Division of the Order of Australia for his significant service to primary industry, particularly wool production. As a research veterinarian, he specialised in skin and fleece biology of Merino sheep, Angora goats and alpacas. After graduating in veterinary science in 1972, he worked for CSIRO on the follicle and fibre characteristics associated with the resistance of sheep to fleece-rot and flystrike. His Dr Watts’ early research work led to him developing the ‘soft rolling skin’ or SRS method of breeding sheep by visual and objective selection to optimise fleece quality and quantity. His methods have been adopted by alpaca, Angora and Merino breeders worldwide. These methods have been recognised for producing sheep that did not need mulesing or tail docking, while increasing lamb production, survival and natural resistance to flystrike. Dr Watts with his wife Sally founded The SRS Company Pty Ltd and then SRS Genetics, which has serviced Merino, alpaca and Angora stud breeders worldwide. Mrs Watts said it was her and her husband’s wish that his work would not die. Mr Favaloro said there were about 30 SRS Merino studs in all Australian states. They produce about 12,000 rams annually, but he said the influence of Dr Watts’ work was showing up in most Merino stud flocks across Australia. “They are cleaning their sheep up and slowly getting rid of the wrinkles – that has to be attributed to Jim. “All stud breeders love their sheep and the last thing they want is to have them struck with flies,” he said. Mr Favaloro said he was optimistic that the SRS studs would continue Jim Watts’ work in promoting non-mulesing and free-growing wool. “We are going to be holding an SRS stud breeders’ meeting and I’m also trying to include the alpaca and the Angora breeders. Mr Favaloro said many Merino stud breeders still sought SRS genetics, while not always following SRS concepts “all the way through” or recognising their contribution in their flocks. Although Dr Watts’ work polarised Merino breeders adhering to traditional breeding and selection techniques, Mrs Watts said he never set out to be divisive. “He didn’t try to moderate or dilute his message to make it more acceptable, it didn’t occur to him to do that. “He wasn’t a politician and he was quite uncompromising, but that’s because as a scientist he felt he couldn’t dilute it; he saw what he saw as a scientist,” she said. Dr Watts was known his promotion of the ethical treatment of animals and sustainable farming practices, and Mrs Watts said he was driven by his deeply felt compassion for animals, particularly sheep, his own dogs, but also for the alpaca and Angora goats he worked with. “He could see that their lives could be made a little better, so that was a great interest of his. Dr Watts also believed that the breeding of SRS sheep could still be further refined, and was refining laboratory methods for greater accuracy. “He had some exciting things he was developing there to assist breeders with the final touches in breeding their rams and ewes,” Mrs Watts. She said it was hard for her husband to leave many things unfinished. “The stuff that he was practising and espousing was never acknowledged by opponents, but it was copied within a few years, if you look at the trends in the industry and at the field days. Dr Massy said Dr Watts was focussing on the quality of the wool fibre when it wasn’t a focus of the Reserve Price Scheme. Dr Watts collaborated with Itochu Wool in international processing trials of SRS wool which was sold directly to customers in Europe, the United Kingdom and Asia, proving the value of a farm to fabric alliance model. Dr Massy credited Dr Watts for his work in developing an improved fibre that suited the textile customer, a plainer bodied animal that still performed well and for encouraging his clients into using Australian Sheep Breeding Values for objective wool and fertility trait selection, well ahead of the traditional industry. “It wasn’t just solid biological science, it was good genetic analysis as well. “Jim was way ahead of his time on animal welfare – Australia has been a laggard in banning mulesing and Jim was talking about that in the 80s because of the cruelty factor,” he said. Dr Massy said Dr Watts’ PhD Masters degree at the University of Sydney examining why some sheep were prone to flystrike and others weren’t, due to wool follicle groupings and how that was genetically determined, led to his breakthroughs. Don Mudford at the Parkdale SRS Merino Stud at Dubbo said Jim Watts revolutionised the breeding of the Australian Merino. “He brought it and its breeding out of the 1950’s, to an animal that could survive and produce high wool quality in all climates where sheep have been grazed. He said the sheep that Dr Watts developed are blowfly-resistant. “They do not require chemical to protect them from flystrike and also do not require to be mulesed. Former Australian Wool Innovation general manager – research, Dr Paul Swan said he and the industry owed Dr Watts a debt of gratitude. “Jim had a huge influence on my career and back in the 1990s when I was at CSIRO I found the WRIST elite wool program ‘Elite Wool – From Fibre to Fabric’ (with Dr Watts), which I ended up managing, to be one of the highlights of my career, particularly because it was focused on industry betterment and education. “Jim was a passionate inspired inspiring person who created a needed debate in the industry, but who resulted in a permanent improvement in wool quality,” he said. “He was very early in encouraging the industry down the path of a non-mulesed type and the recognition of the Merino as a dual purpose animal. “I know from the many workshops that we did, a lot of people found Jim and the whole program inspiring and compelling,” he said. “It also helped them appreciate what they had at a time that was pretty dark — the late 90s was wool stockpile and drought in the eastern states, people were shooting sheep. Dr Swan said Charley Massy’s book ‘The Australian Merino’ has a chapter celebrating the “Michelangelos of the bush’; sheep breeding personalities and catalytic figures such as Collinsville founder Art Collins and Sir Walter Merriman. “I’ve got no doubt that, with time, Jim will be considered one of the Michelangelos of our industry — a bloke that created a lot of light, also created a bit of heat and I think has had an enormous positive impact on our industry. Peak grower body WoolProducers Australia this week also acknowledged Dr Jim Watts’ passing. Dr Watts founded Soft Rolling Skin (SRS) Genetics in the 1990’s which was promoted as a classing and breeding method resulting in plainer bodied sheep with loose, thin skin with high density and length of fibre, the peak grower body said. “Whilst these techniques were viewed as controversial by some sectors of the wool-producing community, SRS certainly stimulated discussion and challenged the thinking of many wool growers. 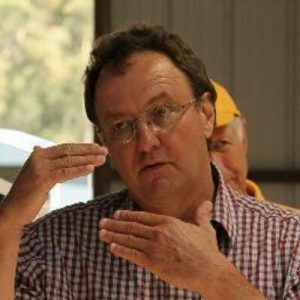 “Regardless of individual wool growers’ position on SRS, nobody can dispute Dr Watts’ passion and commitment to the Australian wool industry,” WPA said. Dr Jim Watts should be lauded and known to many Australians for his contribution to animal welfare. Using observation and genetics to eliminate mulesing is benevolent genius. I hope it inspires others to think of clever ways of solving problems. Jim’s father, Roy Watts, also a highly regarded veterinarian, would be proud of Jim. Jim ran countless (DPIE-supported) Elite Wool program workshops for farmers across Australia with the Wool & Rural Industries Skill Training Centre (WRIST) between 1995-1998, today called RIST. It was a privilege to work with Jim. He was a fabulously patient teacher who inspired many hundreds of wool growers to rethink their breeding programs. His contribution to the wool industry was enormous. Dr Watts was also a great advocate of eduction and training. He was all for explaining and teaching those around him and those who were prepared to listen and learn what he himself was learning about the genetics of sheep, goats and alpacas. What Jim was learning and developing was very complex and required considerable time and patience. However, his ability to simplify that message was also truly remarkable. Jim has provided the wool industry with some fundamental building blocks to ensure the future sustainability of these magnificent animals and a healthy respect for their ethical treatment. Without any doubt, Dr Jim Watts is one of the maestros of all time of the Australian wool industry and should be recognised as such. Jim Watts made a huge difference to the Western Australian industry and was prepared to travel long distances to our state, spending money and time away from his family to bring his passion for change in the industry to all of Australia. His time was much-appreciated by many breeders – stud and commercial in WA. Didn’t meet Dr Jim Watts personally, but I studied his work and it totally makes sense. His work is based on good science. Jim had a big influence on me going to the University of New England to study wool. For that I thank him; for his influence and the encouragement he gave me — thanks Jim. Very sad to hear this news. My heartfelt condolences to Sally and family. I had the privilege of working with Jim many years ago as part of a large-scale embryo transfer program in Tasmania. It was one of the first of it’s kind. Jim was a pioneering spirit for the wool industry and will be missed. Jim’s death is a tragedy for his family and for the Australian wool industry. His legacy in changing the profile of the Australian wool clip is profound. Very sad news. Jim’s contribution to the science of the sheep and wool industry was outstanding. He will be greatly missed. May his pioneering work continue uninterrupted.